"I’m so lucky to be in a position where I can raise awareness for the mistreatment of animals. Every day I wake up and think there is nothing I would rather be doing. I believe I was put on this Earth to make a difference in animals’ lives and I've been fortunate to have had the opportunity to be a part of the work of some of these incredible charities. Whether you are new to rescue work or are heavily involved, I encourage you to scroll through the charities listed below and discover what you can learn and do to make a difference in the lives of at-risk animals." Georgina is on the Board of Directors of the Humane Society of the United States (HSUS) and was recently named Chair of Humane Generation New York, a chapter of the Humane Generation Philanthropy program operated by HSUS. The program seeks to cultivate the engagement of young leaders in New York and Los Angeles with humane work. 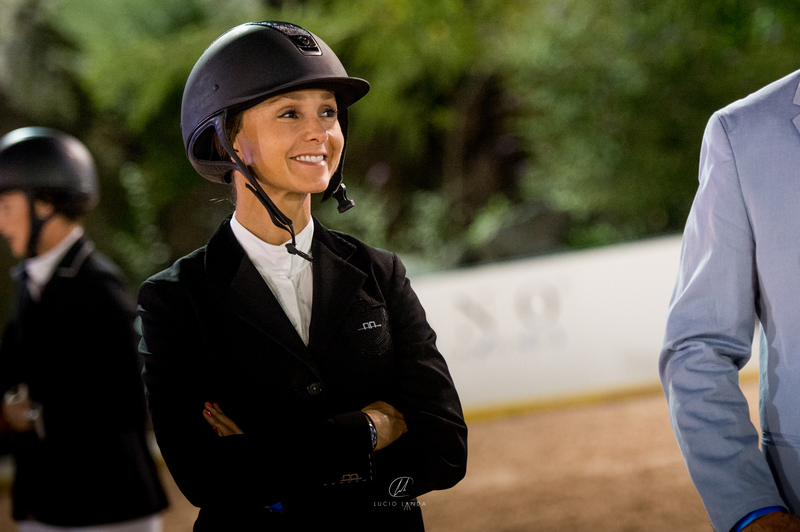 She is on the board of the Hampton Classic Horse Show, the Lake Placid Horse Show, the Emma and Georgina Bloomberg Foundation, the Bloomberg Family Foundation, and on the board of Trustees of the United States Equestrian Team. In 2006 she founded The Riders Closet (TRC) a program that collects used riding clothes and donates them to intercollegiate riding programs and other riders in need. The organization is based at and run by Pegasus Therapeutic Riding; TRC has collected and donated thousands of clothing items to needy riders. 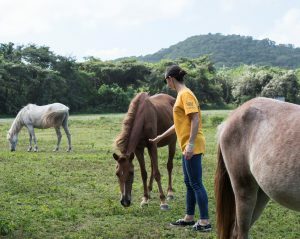 The EQUUS Foundation is dedicated to improving the quality of life of America’s horses, promoting jobs for horses in transition that keep them safe, working and loved, and providing mutually beneficial opportunities for horses to change peoples’ lives with their unique ability to empower, teach and heal. As the only national charity in the United States solely dedicated to the magical bond between horse and human, our goal is to build a more informed and compassionate America that values the powerful connection we have with horses – one that has existed throughout history. The EQUUS Foundation works to support the equine charities across America that are actively providing rescue, safe havens, new hope, homes, solutions, opportunities and sanctuary to America’s at-risk horses to keep them out of the slaughter pipeline. An estimated 130,000 young, healthy American horses from all disciplines are transported over US borders each year for slaughter – horses that could have, and should have had a future. We are especially proud to support programs that offer equine assisted activities and therapies (EAAT) to the public that foster medical, behavioral and spiritual healing of both horses and humans and allow them to heal together. The Foundation accomplishes its mission by providing financial support for a broad range of programs through the award of grants to horse-related charities across the United States; operating a network of equine organizations and equine enthusiasts; providing scholarships to reward volunteer service on behalf of horses, offering insight on the management and financial practices of horse-related charities through a thorough review of their operations; and conducting information outreach to educate the public about horses through special events and equine adoption days at select equestrian events and more. In addition, our EQUUStars, who are select, iconic and inspirational equestrians with a following, work with us to motivate fellow equestrians and horse lovers to take action for horses in fun and creative ways and become horse protectors. Whether you are a competing equestrian, a pleasure rider, or someone who loves horses —- everyone can do something to ensure that America’s horses live in comfort, and with purpose and dignity. Bloomberg is a current EQUUStar for the Equus Foundation. The Humane Generation New York committee is a group of young leaders dedicated to working with The Humane Society of the United States’ Stop Puppy Mills campaign to put an end to the inhumane treatment of dogs in puppy mills and to advocate for pet adoption. Founded in partnership with Amanda Hearst in New York in 2010, the committee has raised over $2.3M to date for rescue efforts as well as education and public awareness initiatives, and spread an important message: adopt don’t shop! Stopping the sale of puppy mill dogs in pet shops will not only close off markets for inhumane puppy mills, it will also encourage the public to acquire dogs from shelters, rescues and responsible breeders who treat their animals with the care and love they deserve. Georgina is the Chair of Humane Generation New York. The Humane Society of the United States is the nation’s largest and most effective animal protection organization. HSUS and their affiliates provide hands-on care and services to more than 100,000 animals each year—more than any other animal welfare organization—through our sanctuaries, veterinary programs and emergency shelters and rescues. HSUS also works to professionalize the field of animal care with education and training programs. We confront the largest national and international problems facing animals, which local shelters don’t have the reach or the resources to take on, such as animal fighting, puppy mills, horse slaughter and soring, seal killing and other forms of commercial slaughter of marine mammals, captive hunting and the wildlife trade, and inhumane slaughter and factory farming. A sub group of the Equine Leadership Council, the Equine Protection Council makes up a number of key supporters dedicated to the protection of horses and burros. The Equine Protection programs include efforts to end soring and horse slaughter. 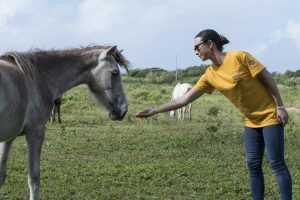 As a committed equine advocate and ambassador for equine protection, Georgina is able to encourage a deeper community engagement in the Humane Society through various events and benefits as a current member of the Horse Council for the Humane Society of the United States. Bloomberg was honored with the Compassion in Action award at the 2016 To The Rescue! New York Gala for her acclaimed work in the protection of animals. Every state has animal cruelty laws but like all causes, the results are only as effective as those who enforce them. That’s why animals rely on your voice to speak for and protect them by reporting cases of animal abuse. Created in January of 2012 by a small group of animal lovers, Animal Aid USA is a 100% volunteer organization dedicated to helping animals. 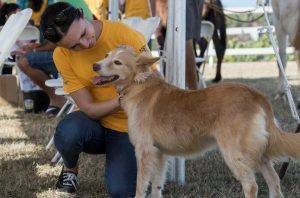 Through their rescue and relocation model, they have created a lifeline for unwanted, abused and abandoned animals in the southern states while also helping animals and their families in our own communities. Each month, Animal Aid volunteers drive more than 1,600 miles from New Jersey to Georgia and back in order to relocate animals from high-kill shelters to receiving rescues and homes. To date, Animal Aid USA has rescued and provided veterinary care to more than 18,000 pets. In addition, Animal Aid USA raises money to fund spay and neuter programs in low income communities and raise awareness of the legal animal cruelties happening daily in the U.S., such as the gas chamber, cardiac heart stick euthanasia and puppy mills. The members of Animal Aid USA believe that providing the proper education and resources, we can change the future of unwanted, abused and abandoned animals. Georgina serves as a founding member of Animal Aid USA and travels with the Animal Aid USA caravans on a regular basis assisting in the relocation of animals in need one rural shelter at a time. Adopt pets through rescue groups or from pet stores who partner with local rescues. Become a sponsor Your sponsorship will go directly toward the full veterinary care that Animal Aid USA provides to every animal rescued.